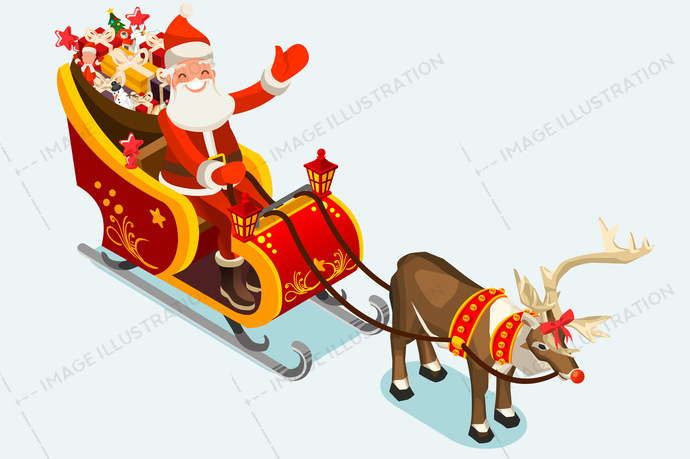 Clip Art of Santa Sleigh stock images by Aurielaki. Illustration Vector illustrations in EPS10 SVG EPS JPG AI. SKU: Clip-Art-of-Santa-Sleigh-Vector-Illustration-AurielAki. Category: Christmas Clipart. Tags: 2018, 3d, bells, book, cartoon, celebration, characters, cheerful, children, christmas, claus, clothes, cute, december, decoration, delivery, father, flat, fun, funny, gift, happy, hat, holidays, illustration, isometric, kids, landscape, love, merry, new year, outdoor, party, people, portrait, presents, reindeer, rudolph, santa, season, sled, sleigh, sleight, snow, style, toys, traditional, vacations, vector, winter.